Energy storage systems are the set of methods and technologies used to store various forms of energy Robert Huggins (2010), Energy Storage, Springer; 2010 edition Robert Huggins (2010), Energy Storage, Springer; 2010 edition Robert Huggins (2010), Energy Storage, Springer; 2010 edition Robert Huggins (2010), Energy Storage, Springer; 2010 edition Robert Huggins (2010), Energy Storage, Springer; 2010 edition . There are many different forms of energy storage Energy Storage Association (2015). “Energy Storage Technologies”. http://energystorage.org/energy-storage/energy-storage-technologies Energy Storage Association (2015). “Energy Storage Technologies”. http://energystorage.org/energy-storage/energy-storage-technologies Energy Storage Association (2015). “Energy Storage Technologies”. http://energystorage.org/energy-storage/energy-storage-technologies Energy Storage Association (2015). “Energy Storage Technologies”. http://energystorage.org/energy-storage/energy-storage-technologies . 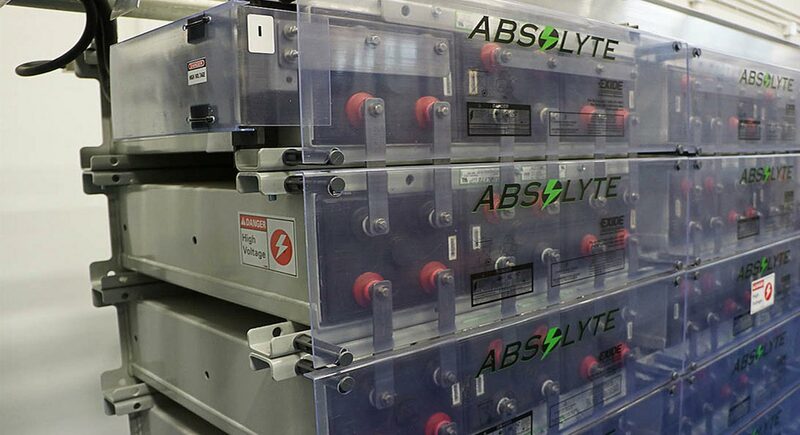 Flow Batteries: batteries where the energy is stored directly in the electrolyte solution enabling longer charge/discharge cycles, usually four hours each. The choice of energy storage technology is typically dictated by application, economics, integration within the system, and the availability of resources. Energy storage has many benefits. It is particularly important for the development and integration of renewable energy technologies. Some renewable energy sources have intermittent generation profiles, which means that electricity is only produced when the sun is shining or when the wind is blowing, for example. This creates supply and demand discrepancies because consumers may still require electricity when renewables sources are not producing Richard Baxter (2005) “Energy Storage: A Nontechnical Guide ” PennWell Corp., ISBN-13: 978-1593700270 Richard Baxter (2005) “Energy Storage: A Nontechnical Guide ” PennWell Corp., ISBN-13: 978-1593700270 Richard Baxter (2005) “Energy Storage: A Nontechnical Guide ” PennWell Corp., ISBN-13: 978-1593700270 Richard Baxter (2005) “Energy Storage: A Nontechnical Guide ” PennWell Corp., ISBN-13: 978-1593700270 . Currently, grids deliver electricity in real-time, meaning electricity is being consistently produced to meet consumer demand. As a result, electricity generation systems are built to meet peak demand (the hours when most electricity consumption occurs, for example during the afternoon of a hot summer day when everyone is operating their air conditioning). Energy storage enables a lower-cost generating source to produce electricity at a different point in time to be stored and then used to meet times of peak demand. This ‘flexibility' has the potential to transform how we produce and consume electricity Robert Huggins (2009) “Advanced Batteries: Materials Science Aspects” Springer; ISBN-13: 978-0387764238 Robert Huggins (2009) “Advanced Batteries: Materials Science Aspects” Springer; ISBN-13: 978-0387764238 Robert Huggins (2009) “Advanced Batteries: Materials Science Aspects” Springer; ISBN-13: 978-0387764238 Robert Huggins (2009) “Advanced Batteries: Materials Science Aspects” Springer; ISBN-13: 978-0387764238 . Energy storage is also commonly used to smooth out the minor fluctuations in energy output for small and large electricity generation sources. Storage also provides increased reliability and strengthens system resilience at large and small substation levels. Energy storage is also commonly used in transport, like in electric vehicles, trains and bikes. Energy storage systems have traditionally been very expensive and not economically viable on a commercial scale. However, drastic improvements in energy storage technologies have led to decreases in costs and improved technology applications. In this episode of Energy Voices we explore the unique challenges and opportunities of Small Island States when it comes to both energy and climate.